Neil Francis Ian McCallum (born 22 November 1977) is a Scottish cricketer. He is a right-handed batsman. He made his debut for Scotland on 4 July 2000 against an England Amateur team. McCullum has since represented Scotland in One Day Internationals, his first match at this level coming against Pakistan in June 2006. 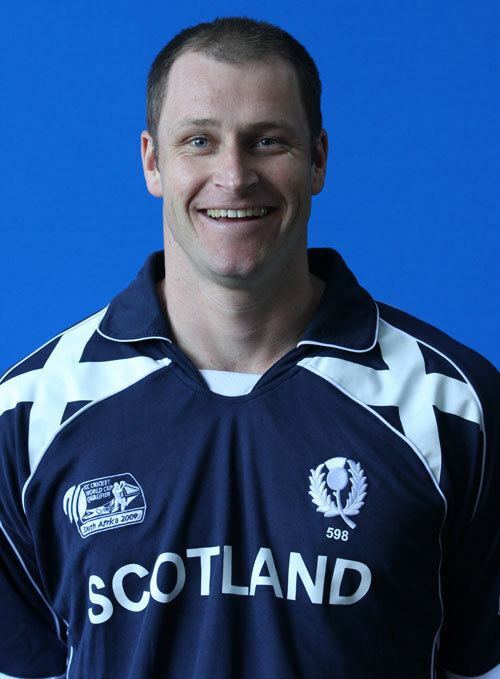 On the 29th of January 2007, he scored an unbeaten 102 as Scotland defeated Ireland in Nairobi. He became the second Scottish cricketer to score an ODI century after Ryan Watson. He was also nominated for Scotlands batsman of the year awards in 2006/2007. He also plays cricket for Grange Cricket Club (Based in Edinburgh), appearing regularly for their first XIs, as a top order batsman. He currently works as a PE teacher at George Watsons College in Edinburgh, which he also attended as a pupil.